According to a report published by Statistics Canada in 2014, Dementia is the 8th leading cause of death in Canada. It is the only cause of death among the top 10 without a way to prevent it, cure it or even slow its progression. 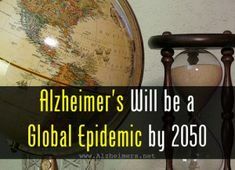 Too often Alzheimer's is treated as a issue that only impacts people that are aging, but I can attest to the fact that that is simply incorrect. This disease has far reaching impacts and the burden will continue to deepen. According to the Alzheimer Society of Canada, as of 2016, the combined health-care system and out-of-pocket caregiver costs are estimated at $10.4 billion per year. By 2031, this figure is expected to increase by 60 per cent, to $16.6 billion. In an earlier post I talked about the passing of Bill C-233, An Act respecting a national strategy for Alzheimer’s disease and other dementias, making Canada the 30th Country with a National Dementia Strategy. This is a step in the right direction, but what are we doing to help the people with dementia and their families right now? I want to find a way to unify us, caregivers and sufferers alike, so we can share our experiences in order to influence policy. Dementia is still not being seen as the epidemic that it is. The percentage of the Canadian Institutes of Health Research’s budget invested in dementia research is only 5%. A commitment to more public funding for dementia research is the best place to start. Find out how Canada compares to these and other G7 nations in funding Alzheimer’s research.